I found the “Retraction” podcast very interesting for a few reasons. First, I found it strange that This American Life would spend an entire hour framing Mike Daisey as a liar. To me, it was somewhat unprofessional to use him as a scapegoat in this way, rather than to use the work they had paid for and broadcasted in a positive way. By this I mean that instead of bashing his claims, simply clarify that what was said was an act of fiction BASED on true events than an act of journalism. While in some parts they did just that, I think the overall tone of their podcast was meant to shame Mike Daisey, rather than clarify a confusing situation. The retraction episode of This American Life slightly angered me. I felt uncomfortable as I listened to Ira Glass and Rob Schmitz tear apart Mike Daisey’s story and constantly apologize to their viewers for their failure at fact checking Mike Daisey’s story. In my blog post on This American Life’s “Mr. Daisey and Apple” I wrote that Mike Daisey should have been up front about the parts of his story that were misrepresented. However, I saw the reasons for why he chose to incorporate some details into his story that he had not personally experienced. 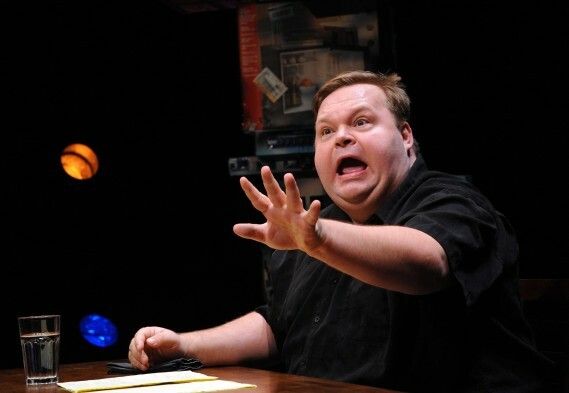 Mike Daisey is a writer and actor and his purpose is to tell a story and make people care. In this task, he greatly succeeded.